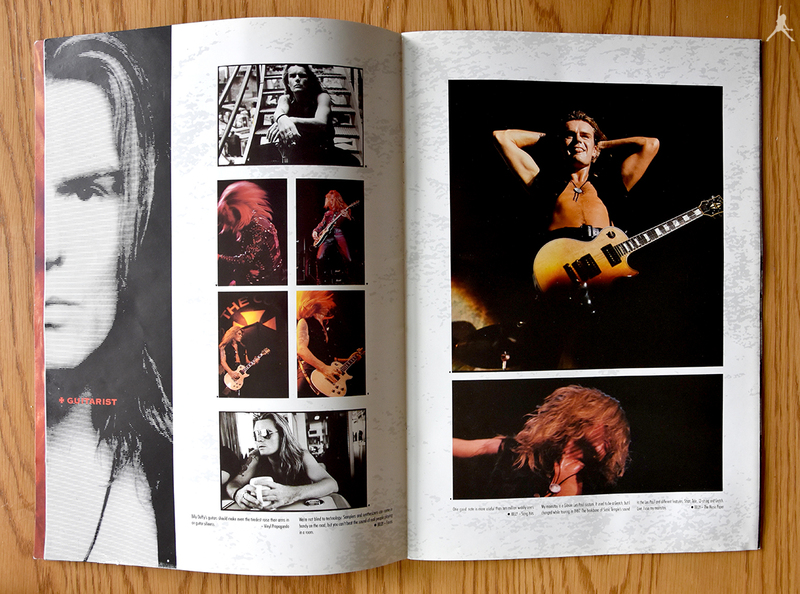 Billy's pages in The Cult 'Sonic Temple' World Tour Programme 1989-90. "My mainstay is a Gibson Les Paul custom.It used to be a Gretsch, but I changed while touring in 1987. The backbone of Sonic Temple's sound is the Les Paul and different features; Strat, Tele, 12-string and Gretsch. Live I use my mainstay."